Is a house extremely cluttered or is the occupant a hoarder? The line between collecting/stock piling and hoarding can be a matter of opinion but there are times when the situation is out of control and has become a major problem, sometimes referred to as extreme or compulsive hoarding. Most of us have seen programs about hoarders on television. Now and then there is an item on the news about someone who has hoarded so much stuff that the authorities have stepped in because of health and safety concerns. 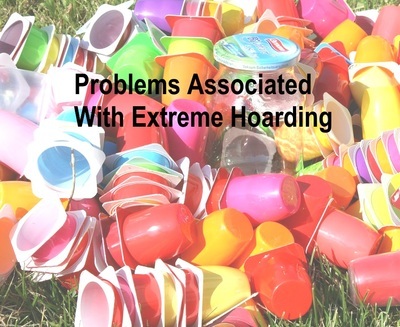 However, people with extreme hoarding habits sometimes don’t consider it a problem. They may see it as collecting, insurance against financial or other disaster, avoiding waste or something else which seems reasonable to them. 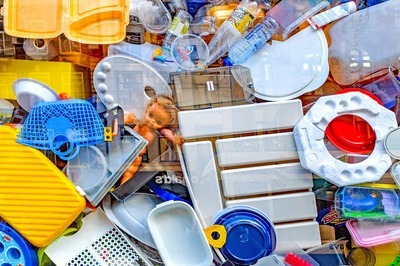 Extreme hoarders may have health problems such as mental health issues, which may make it difficult for them to recognise dangers associated with hoarding. Some hoarders have physical health problems, perhaps including severe pain, which makes it challenging/impossible for them to sort things and dispose of unnecessary items. Month by month, year by year the situation worsens. What are the signs of a hoarder? Why can hoarding be considered a problem by other people? What may result from extreme hoarding? The state of the dwelling may mean its resale value and that of neighbouring houses decreases. Help is available for a person who is an extreme hoarder. However, they may not recognise the situation as a problem. They may fear being judged by others, resent interference or suspect others are 'stealing' their possessions and refuse to accept support. This may be an even bigger problem than the task of actually cleaning up the house.